Pittsburgh, PA - TerraSim is pleased to announce that Bohemia Interactive Simulations (BISim) has acquired TerraSim with the assistance of the Riverside Company. BISim, the developer of the Virtual Battlespace (VBS) series of training games, plans on making few structural changes to TerraSim's fundamental goals and objectives as a company. TerraSim will continue to enhance TerraTools® capabilities by working with third parties to expand its already extensive support for modeling and simulation runtimes. TerraSim will also retain operations at its current Pittsburgh office, use existing software and database engineers, and maintain current leadership. TerraSim customers can continue to expect timely, expert support as well as the best in terrain generation functionality for all TerraSim's products. By integrating BISim and TerraSim, BISim will be able to capitalize on enhanced software capabilities for Bohemia's products and services, and TerraSim will be able to both provide better integration and support capabilities for its VBS2 exporter and reach larger and more diverse markets. Together, BISim and TerraSim will continue to work with mutual customers to create high fidelity networked simulations, using a diverse set of runtimes to meet customers' advanced training requirements. 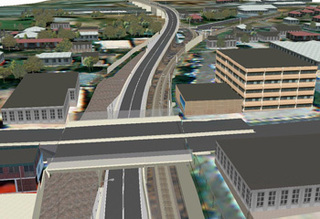 This acquisition will also facilitate the development of better VBS functionality in both Bohemia and TerraSim's software products, including improved generation of large area databases, enhanced integration of destructible buildings, bridges, and tunnels, and the addition of TerraSim's recently developed annotated urban environment (AUE) capability to support realistic pattern of life activity within VBS. "TerraSim has worked closely with BISim engineers for a number of years solving difficult technology problems for our mutual customers. This merger represents a unique opportunity for us to leverage the significant resources provided by BISim while continuing our growth as a leading technology and product development group," said Dave McKeown, the CEO of TerraSim. Peter Morrison, the CEO of BISim, said, "We were considering acquiring TerraSim even before the Riverside acquisition. They're an exceptional company that brings outstanding technical knowhow. This immediately makes Bohemia a stronger and more capable company." Both BISim and TerraSim are proud to serve the military simulation market and look forward to providing tightly integrated, cutting-edge serious game solutions for many years to come.